The future of the personal transportation industry looks bright with the rapid growth in the use of electric scooters across the United States streets as well as in the UK. Their popularity has reached a milestone this year with Uber teaming up with Lime to make the scooters available for rent through their app. This is a huge investment deal intended to further boost the popularity of these scooters in US, Europe and around the world. Electric scooters are quite beneficial for users and the environment as a whole, however they have not been welcomed with open arms by everyone, as some see them as a dangerous means of transport. And not just to the riders, but to pedestrians as well. In this article we’re going to take a look at their pros and cons to see the benefits as well as the disadvantages that come with them. It is not a surprise that this would come first as electric scooters were designed with the environment in mind. 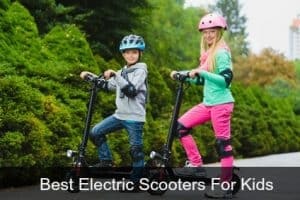 With the growing cases of global warming and climate change there has never been a more crucial time to adopt environmental friendly products and the electric scooter has been a great idea. Motor vehicles as means of transportation emit gases which contribute to environmental pollution. Electric scooter transportation helps in minimizing carbon emissions and is an eco friendly means of transport. Electric scooters are battery powered so they do not require fuel. Fuel costs have been gradually rising over the years and using an electric scooter as a means of transport saves you that cost. You can charge your electric scooter just as you would your laptop or other electrical items. Electric scooters reduce traffic on the road. As people previously using cars slowly shift to electric scooters the number of vehicles on the road reduces and making commuting faster and easier. Most electric scooters are portable. 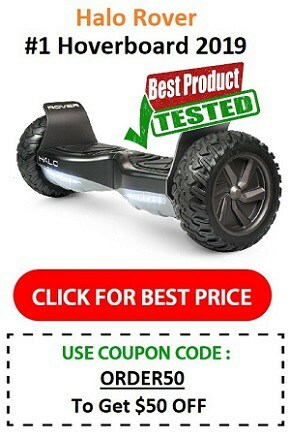 If your scooter breaks down or runs out of charge its easy to carry. Many of them are foldable, which means you can easily put one in the trunk of your car, or carry it on public transport. Electric scooters are easy to use. You do not have to go through a driving school to get a license as it is not a requirement in order for you to own one. This also helps you to save on cost as you do not have to regularly renew a license and pay for insurance. Electric scooters are very quiet. Our roads are filled with loud vehicles which are a nuisance to many people. Electric scooters help to reduce this noise pollution on our roads. You can park your electric scooter anywhere you want. They take up very little space. How many times have you had to park your car somewhere just to pick up something in a shop but can’t find a parking spot? With an electric scooter you need not worry as you just require a small space to park or you can just carry it instead. Electric scooters are easier to maintain than motor vehicles. 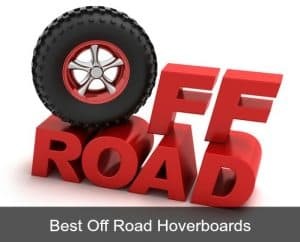 Their design is not as complicated as a car – you only have three major parts to take into consideration and they are the motor, the battery and the controller. Electric scooters can be used pretty much everywhere. There are some places that a car cannot go but the scooter can. With a scooter its easier to take short cut routes and save time. Studies have shown that an electric scooter can get you to your destination over 20% quicker than an ordinary pedal bike. Electric scooters require very little effort when riding them. You can simply use it to ride anywhere, even the shop just a few blocks away. It’s not going to give you the kind of workout you’d get from pedalling a bike or walking. Although it will get you there faster, so it’s not all bad! Most electric scooters are designed to carry only one person and therefore they’re not really suitable for hitching a ride on. This is where a motor vehicle stands out as you can take your entire family anywhere with it. An average scooter will have a weight limit of about 220-260lbs (depending on the model), so not really suitable if you’re particularly overweight either. Don’t forget to take into consideration what you’re carrying – e.g. a backpack etc. will also add to your overall weight. Depending on the country one lives in, the price may be either cheap or expensive. In the US an electric scooter is pretty good value, starting at around $400 for a commuter electric scooter, up to around $1200 for a top of the range model. In Europe you may end up paying more for the same scooter when you take import costs into consideration. An electric scooter may be new to some mechanics and it can become a problem when it breaks down. You may need to find someone with the expertise and skills in dealing with the new models and that may take a while. It may be necessary to ship the scooter back to the manufacturer for repair, which could end up being pretty expensive. Electric scooters are electronic making them unsuitable for use when it is raining heavily or when there is a flood. They are also risky to use when the roads are slippery as accidents can easily occur. During these times you may need to find another means of transportation. Owners of electric scooters usually park anywhere and without proper security scooters become an easy target for thieves. This negligence of the owners is usually the cause of a number of stolen scooters. To protect your scooter from theft always use a lock when you are parking it in a public place or any place where you cannot monitor it. Some scooters are dockless meaning they can be locked using a smartphone app. 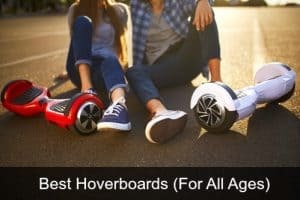 The electric scooter is a great technological means of transport and given time and opportunity they are set to make a huge impact on the personal transportation industry. They do have their disadvantages, but what they bring to the industry is far greater. With continued investment in electric scooters just like Uber has done they are likely to revolutionize the transport sector, make short commutes so much easier, and protect our environment in the process.